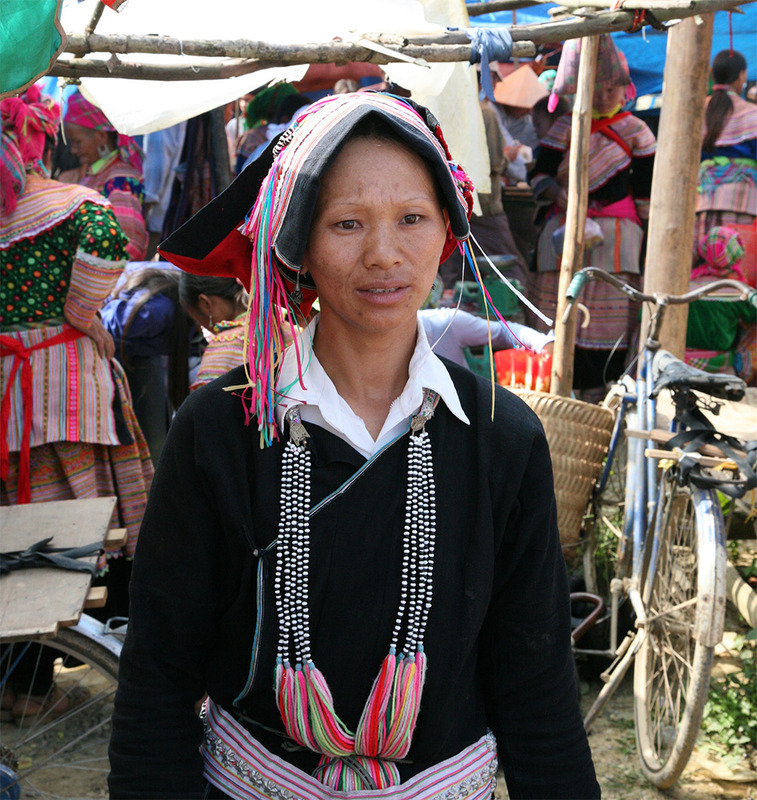 Bought on the market of Bak Ha in the far north of Vietnam, this headscarf is a curious piece of work. It is almost square, but on the head it folds in half; the numerous narrow satin ribbons of all colors hanging from the sides on the shoulders. The forehead part of the headscarf is adorned with a row of small metal triangles. 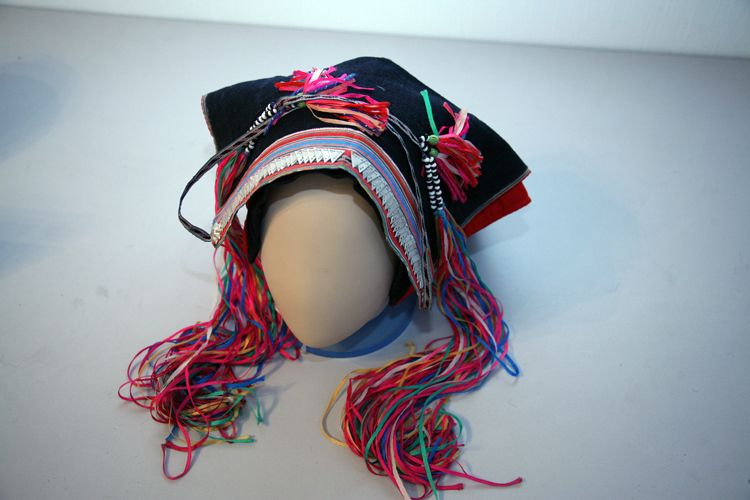 The Dao (who are called Yao in China, and who call themselves the Mien) is one of the largest ethnic groups of northern Vietnam, but the costumes of the different ethnic subgroups, which are: the red, the black, the striped, etc. vary greatly. In Vietnam the black Dao are called Dao Du.